After more than seven years of war with the goal of changing the Syrian regime, the target has now become Hezbollah. But the question remains: after the failure of the 2006 war, what can the enemies of this organization do to achieve their goal? Hezbollah’s Secretary General Sayyed Hasan Nasrallah said in his most recent speech that “Hezbollah is stronger than the Israeli army”. 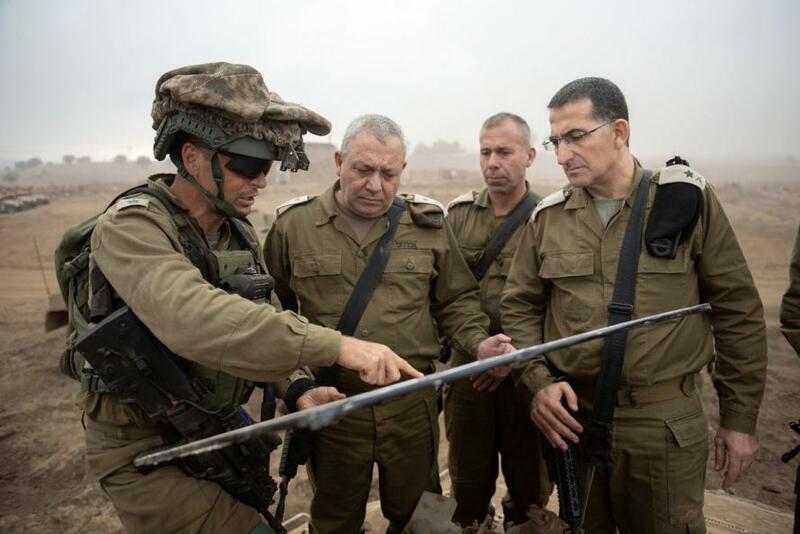 Israel responded by showing a drill of the Golani brigade and the 7thArmoured Brigade, in the presence of Chief of Staff Gadi Eisenkot, simulating war against Hezbollah. This drill took place after routine ground forces exercises of the 36th Division to “improve coordination and readiness in case of war”. In a message indicating that it will not distinguish civilians from militants, Israel has constructed a new training base in the occupied Golan Heights, the Snir facility, to simulate Lebanese villages. These mock Hezbollah villages are meant to be of the type Israeli soldiers might face in combat situations if an invasion of Lebanon is ordered. Likewise, Hezbollah has constructed mock Israeli villages on the Lebanese-Syrian borders for combat training to prepare for war. Sayyed Nasrallah has promised to move the battle beyond the Lebanese borders and has asked his men to prepare to fight on “enemy ground” if war is imposed on Hezbollah. 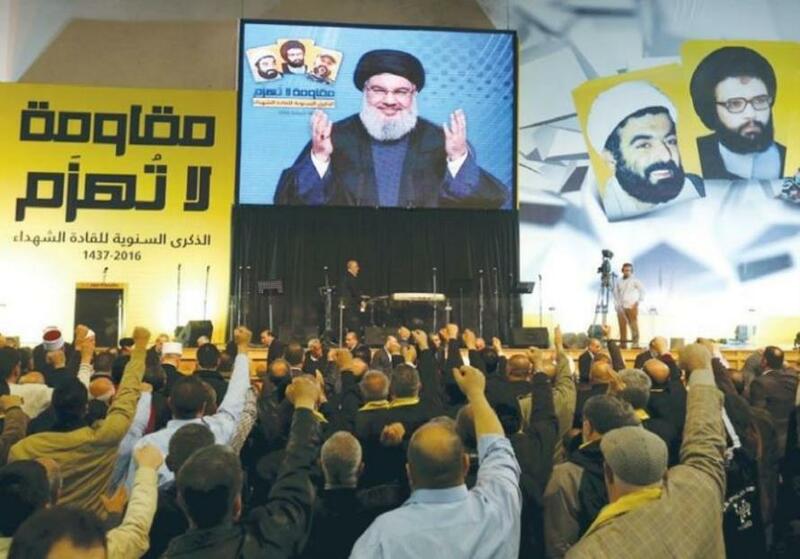 Israel’s ongoing repetitive threats against Lebanon and Hezbollah are nothing new to Sayyed Nasrallah, who doesn’t give undue weight to these continuous menaces. In fact, he keeps himself informed about all news related to Israel, the Middle East and the world events of interest to him. A special team made of tens of translators and media experts collect daily all the news from open sources and keep the Hezbollah leader informed, as do his intelligence services, represented in various countries, and his own private contacts with allies he regularly meets. He is not unfamiliar with reservist Major General Yitzhak Brik, the Israeli Army commissioner for the rights of soldiers, who talks of a serious crisis in an army that has become a “mediocre organization suffering from overburdening and exhaustion”. Brik said top officials sell a false image (of the Army) that does not correspond to reality. “We have become a group of cowards. There is a serious crisis of motivation among young officers”. 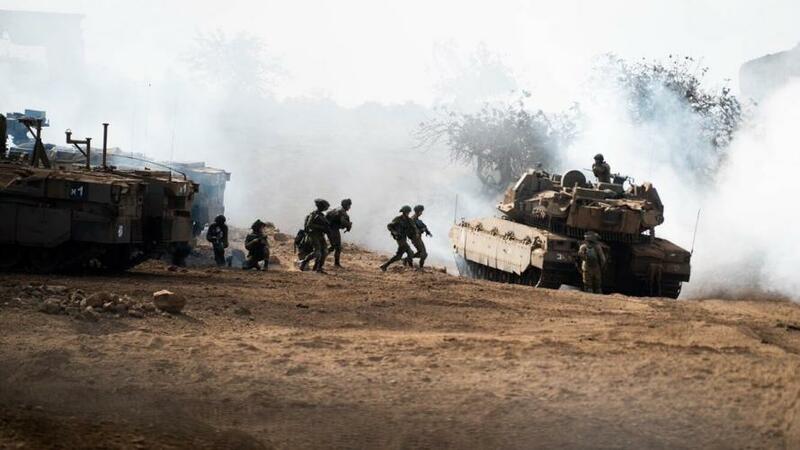 Israeli Defense Forces conducting tactical maneuvers and exercises. The former head of the Israeli special service Nativ, Yaakov Kedmi, said that “the motivation to serve in the military has been reduced. Israeli society is no longer willing to grant privileges to the army”. Sayyed Nasrallah did not mean that his organization has an air force (it has none, of course) stronger than that of Israel. Nor does Hezbollah receive financial support from Iran equivalent to that provided by the US to Israel, including “US forces ready to die for Israel”. Sayyed Nasrallah counts on a group of experienced young men, with strong ideology and a high level of training, not looking for death but also not afraid of it. Hezbollah’s goal is to stand against Israel and its allies who aim to eradicate the group: it is a matter of survival. Hezbollah has proven its combat capability against the ISIS (Daesh) organisation in Lebanon and Syria, as well as against al-Qaeda and other jihadist Takfiri groups. The Lebanese group lost only one battle over the last six years of war, a battle on the hill of el-Eiss in April 2016. This defeat resulted from a lack of coordination between allied forces. That day the military plan was for allied forces to occupy the el-Eiss hill surrounding the city of el-Eiss; the city itself was to be liberated by Hezbollah. The allies withdrew from the hill without informing the forces in the city. This lack of communication caused the death of 28 Hezbollah members whose bodies are still unrecovered and buried on the battlefield. But this military setback did not affect the performance of the party, which was able to conduct both guerrilla battles on its own against different groups, and other battles alongside classical armies (Syrian and Russian). Together with its allies and the Syrian Army, Hezbollah managed to liberate territories at least 14 times bigger than Lebanon (the size of Syria is around 180,000 sqkm, while Lebanon is 10,453 sqkm). The years of war taught Assad to distinguish between allies and countries such as Saudi Arabia who invested much to remove him from power at the cost of destroying the country: “An ideological ally (Hezbollah) is better than the richest of all countries because this real ally did not and would never abandon him, and has no ambitions in Syria but to see stability in the Levant and to prevent Takfiri Jihadists – supported by Arab and western countries – from creating a failed state”, Assad repeats often to his visitors. Hezbollah is now on focusing its military attention on the border with Israel, preparing for a war that may happen tomorrow, or that may never happen. 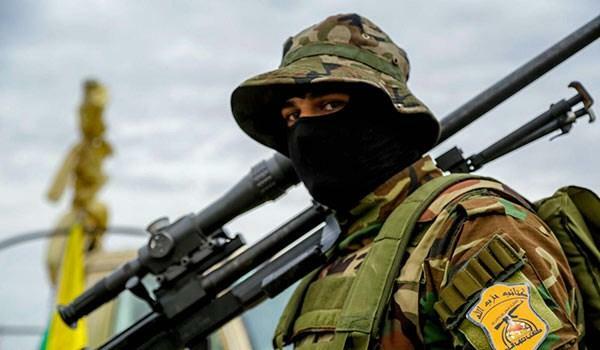 A writer affiliated with a western think tank recently asked the West to "wake up", claiming that Hezbollah is expanding into Europe and trading drugs to secure resources because Western pressure on Tehran threatens its sources of funding. Many other writers call for the elimination of Hezbollah as a threat to Lebanon. These articles reflect western ignorance about Hezbollah’s thinking, its work, power, funding and goals. Hezbollah is stronger than the Lebanese army and all the Lebanese security forces combined. Nevertheless, it would never consider capturing, dominating or otherwise controlling Lebanon for many reasons unrelated to its superior combat capability. The party is aware that Lebanon is a multi-ethnic country (with 18 sects and religions) and that an “Islamic republic” is unattainable because its conditions are currently unfavourable. Hezbollah does not want to and indeed cannot meet the demands of a state and the well-being of its entire population because it does not have the resources of a state. The group is not in a position to manage a country with little resources, a country receiving and dependent on foreign (Arab and western) aid and wealth, a country that cannot permit itself to be isolated from the world as it would be if ruled by Hezbollah. Moreover, Hezbollah has agreed on an interior minister (Sunni), a political foe and friend of its greatest political enemy (Saudi Arabia), because it does not want to be responsible for the internal security of the country. Nor does the organization want to be accused of sectarianism, corruption or bribery, or of arresting Sunni jihadists on a sectarian basis. Hezbollah believes it can continue to exist indefinitely only if the local population, and especially the Shiites in Lebanon, embrace the group and offer a safe environment for its operation. This is the key: Hezbollah’s militants, families and supporters make up around 25% (Shia are estimated above 30% of the total sects and religion in Lebanon) of the Lebanese population. Since 1945 the Lebanese state neglected the Shiite community, who lived for decades in worse conditions than residents of Palestinian refugee camps spread out all over Lebanon. When the opportunity arose for them to bear arms and build an identity, the community did not hesitate to take it. Israel strengthened its raison d’être with its 1982 invasion of Lebanon. Hezbollah arose first to fight Israel, and then to liberate Lebanese territory in a second phase. It then moved on to supporting the “axis of resistance” in Iraq, Syria and Yemen. Today, the Shiites of Lebanon are no longer in need of the Taqiya (concealing or disguising one’s beliefs, convictions, ideas, feelings, opinions, and/or strategies at a time of imminent danger) and shall not give up their arms in the face of any danger to their existence, domestic or international. No matter how seriously Israel and the US may threaten Shiite areas in Lebanon, they will not surrender the power, dignity and status they have achieved in Lebanon. Hezbollah today employs tens of thousands of Shiites – in the military and social activities – who positively contribute to the shaky Lebanese economy. These tens of thousands working in the ranks of “Hezbollah” did not come to Lebanon from another planet, country, or continent. They are the people of the Lebanon, the people of the southern suburbs, Beirut, Jubail, Saida, Tyre, Bekaa, Baalbek, Hermel, and all parts of Lebanon. Thus, those who demand the abolition of Hezbollah are in effect calling for the destruction of an intrinsic and significant part of the population of Lebanon. The US has invested hundreds of millions of dollars to counter Hezbollah in Lebanon and distort its image to no avail. Al Qaeda leader Ayman al-Zawahiri asked in a letter to Abu Musab al-Zarqawi (intercepted by US forces in Iraq on the 9thof July 2005), when he was targeting Shi’ites instead of the occupier during the first years of the US occupation of Iraq: has any Islamic State in history ever been successful in eliminating the Shiites?